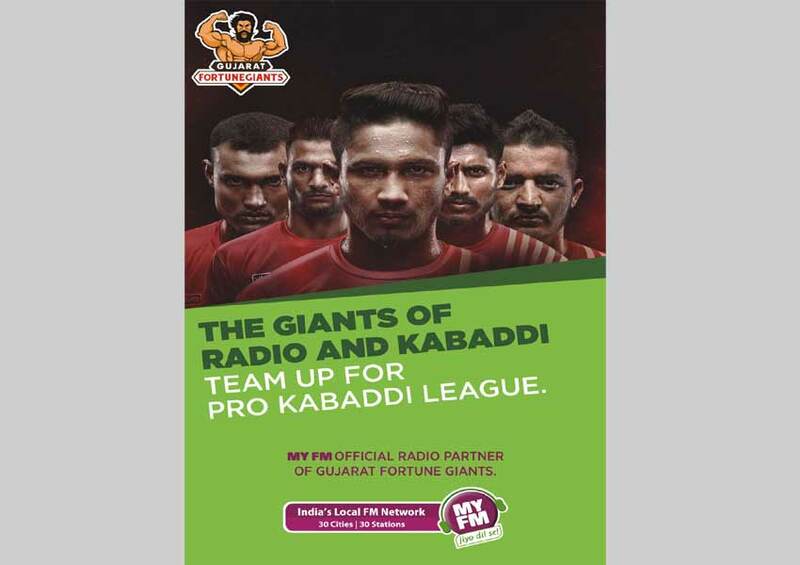 MY FM has partnered with Gujarat Fortune Giants for the ongoing Pro Kabaddi League 2018. The radio network has become the official radio partner of the Gujarat Fortune Giants. As part of the partnership, the radio station will be hosting a series of on air activities across various platforms that will include on-ground activities and on-air initiatives.